Solutions that deliver the highest standards in pack accuracy, consistency and quality while ensuring the fastest speeds and maximum efficiencies on the production line will be showcased by Ishida Europe at this year’s Gulfood Manufacturing. Highlights include the world’s fastest VFFS snacks bagmaker, the Inspira; specialist weighers for challenging applications such as dried fruit, sticky fresh proteins and fragile biscuits and confectionery; advanced quality control systems including the award-winning Ishida AirScan leak detector and the latest X-ray model for the detection of small bones in chicken fillets; and Ishida’s unique Sentinel™ remote monitoring software to enhance machine performance and efficiency. The Ishida Inspira rotary and intermittent bagmakers offer a top speed of 200 bags per minute (bpm) for extruded snacks and up to 150bpm for potato chips for the rotary version, with an Overall Equipment Effectiveness (OEE) in excess of 99%. Advanced software and servo-controlled variable seal time, jaw temperature and jaw pressure enable the machines to handle a variety of films, including standard, metallised, recyclable and biodegradable, as well as gusseted and block bottom bags with minimal change parts. A large 15.3” touchscreen provides an intuitive HMI (Human-Machine Interface) as part of an enhanced intelligent ‘visual management’ strategy designed to improve operator productivity. The Inspira rotary bagmaker is being demonstrated as part of Ishida’s iTPS™ (Integrated Total Packaging System), the world’s only complete snack food packing system with all weighing and bagmaking elements from one supplier. This delivers maximum packing line efficiency and reliability with minimum product and film waste. The Ishida RV multihead weigher on display offers a best-in-class solution for the high speed, high efficiency handling of sticky dried fruit such as dates, prunes, apricots and dried grapes. A combination of coated and surface area reducing contact materials optimise product flow while, as part of Ishida’s most advanced RV series, the weigher incorporates a number of market-leading features including Pulse Width Modulation and Anti-Floor Vibration that deliver the highest levels of speed and accuracy. Flexible power modes can reduce power consumption by up to 20% and the IP69k design offers long term resistance to water ingress. 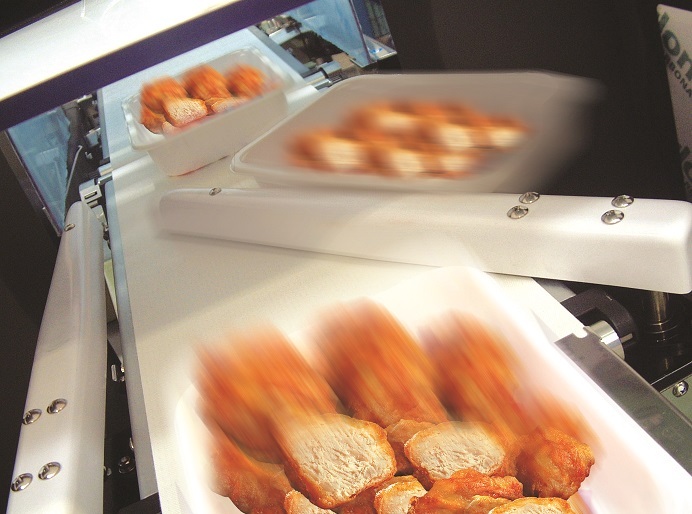 For fresh, sticky or fragile foods such as fresh protein, sliced or bruise-sensitive fruit, ready meals and biscuits, Ishida’s linear-designed multihead weigher provides a unique solution. The weigher can reduce labour costs by around three operators per shift. Speeds of up 60 packs per minute for the 12 head model with giveaway of less than 1% of pack weight deliver a typical payback of less than one year. 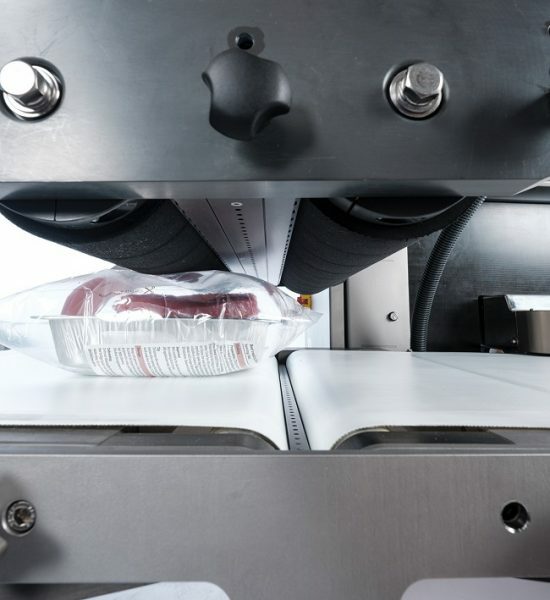 The Ishida AirScan minimises spoilage in a wide variety of pre-packed retail food products where CO2 is used as part of the MAP process. It uses advanced laser technology to identify leaks of CO2 from holes as small as 0.25mm in sealed MAP packs at speeds of up to 180 packs per minute, ensuring that maximum quality can be achieved without compromising on high throughput speeds. The advanced Ishida IX-GN X-ray inspection system provides excellent sensitivity in the detection of a wide variety of foreign bodies in both packed and bulk food, with the ability to find even the tiniest amounts of steel, aluminium, tin, glass, stone, hard rubber, plastic, bones and shells at high inspection speeds. The unique Ishida Genetic Algorithm (GA) technology enables the machine to be trained to more easily detect specific contaminants and the system can also undertake a variety of other quality control functions such as spotting deformed or missing product and weight estimation. The Ishida IX-G2 Poultry Solution uses special dual-energy technology to detect wish, rib and fan bones and provide a fully integrated solution for the handling, inspection and rejection of unpacked chicken fillets. Rejected products are transported via an integral reject return conveyor back to operators for rework on the infeed to the system. The IX-G2 is available in both single and dual lane variants with throughputs of up to 220 fillets per minute. The DACS-GN-SE checkweigher has been developed as a high-value economy machine that combines exceptional speed and accuracy at an affordable price. An intuitive, menu-based display ensures ease of use and fast set-up, and an open frame design provides easy cleaning. It can be specified with Retail Reject Confirmation software to help food manufacturers meet the latest retail codes of practice. The DACS-GN-SE is also available with the Ishida Data Capture System, a powerful software that captures the data from every pack that passes across the checkweigher to deliver real-time displays and reports which help companies identify cost-saving opportunities and maximise OEE. All Ishida equipment can be specified with the company’s unique remote customer care software solution, Sentinel™, which combines machine performance monitoring with comprehensive data capture and in-depth analysis. This enables manufacturers and packers to operate their lines to maximum performance and efficiency and avoid unnecessary and unwanted downtime. Ishida Sentinel™ software connects compatible Ishida machines, anywhere in the world, to a central system manned by Ishida engineers. This provides complete monitoring of machines, however widely distributed, with Ishida experts on hand to identify and rectify any faults or poor performance.